Ken Larsen's website - 6 minute wait for traffic light to turn green ... Problem fixed! 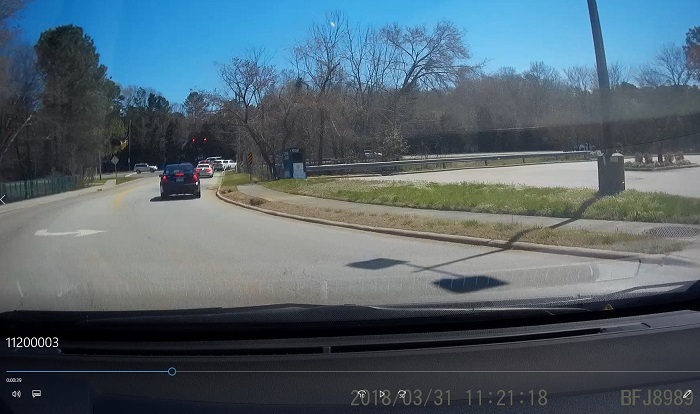 On Saturday March 31, 2018 it took 6 minutes for a traffic turn turn green. That's way too long! The light is red. 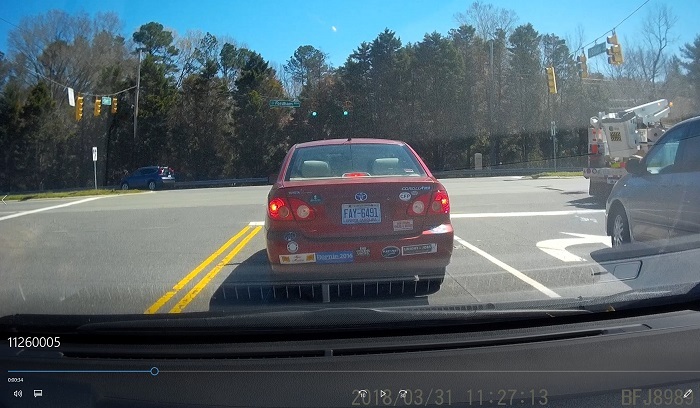 I have no idea how long the light was red. I got onto Elliott Road just a few seconds earlier after exiting O2 Fitness. The light finally turns green but not until almost 6 minutes later! Click here to see a video of the whole six minutes of my wait. Interestingly, the right turn traffic light turned green twice during those six minutes, but not the left light ... until the very end. Then, both lights turned green. 10:30 AM Monday, April 2, 2018: Problem fixed! Kumar Neppalli of the Town staff reports that on March 31st Traffic Signal System Engineer Ty Williams went to the intersection and found one of the detectors on Fordham was stuck. This kept it on green on Fordham for long periods of time. Ty got the detector back in proper working order and observed normal operations after that.